The show starts with a way-too-familiar background story of a high school club that’s in the brink of extinction. 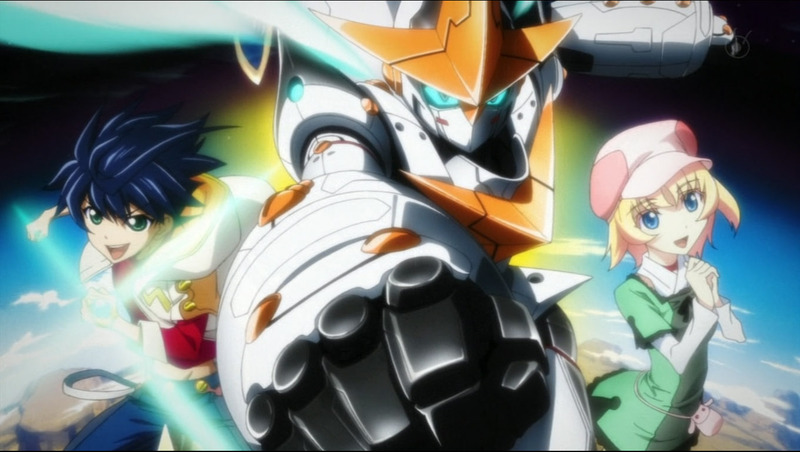 And in this story, it’s the Robotics Club, whereas its sole members are Kaito, a slacker-gamer with so little enthusiasm in the plight they’re currently in, and Akiho, a high-spirited girl fueled by optimism and vigor to realize their dreams; to finish building a giant mecha. To do just that, she decides to send a budget proposal needed to complete the robot to the vice principal, and recruit more members so they can speed up the process. 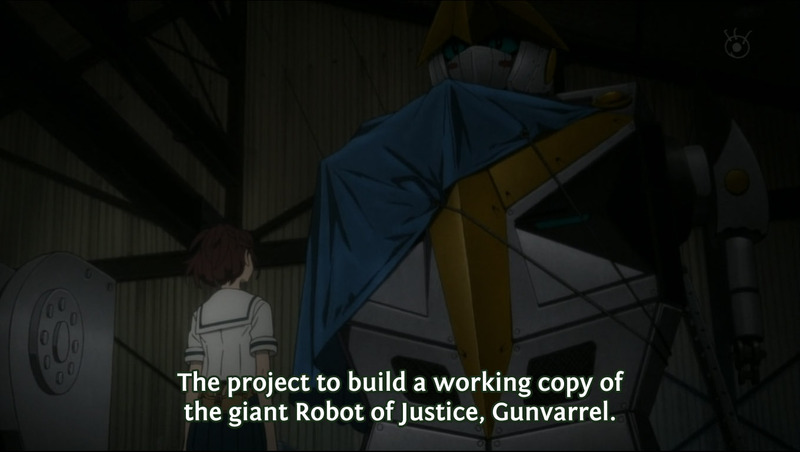 The Robotics Club’s dream soon stumbles upon a huge obstacle: the vice principal sees the budget proposal as absurd. However, the vice principal decides to come to a compromise by stating that if Akiho and Kaito wins a local robot contest named “Robo-one”, she may consider the amount of fund needed so that the Robotics Club can build the giant robot they want and take it to “Tokyo World Expo” to be presented there. Over the moon, Akiho is fired up to take on the challenge, only to be reminded by Kaito that the aforementioned “Robo-one” is only two-weeks away. 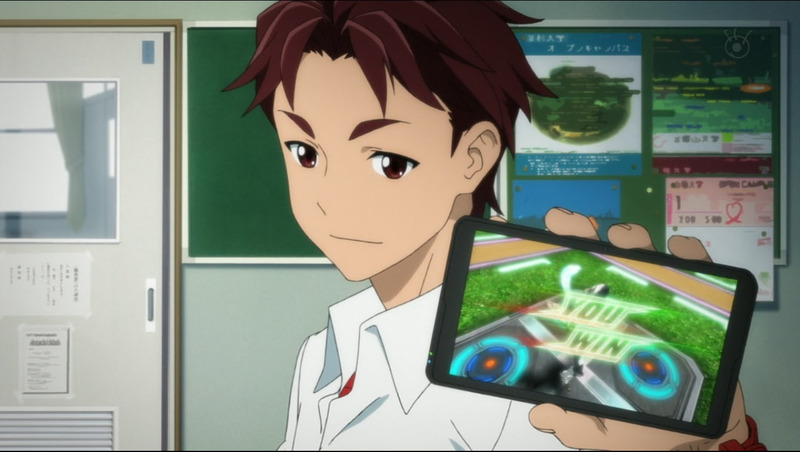 “Robotics; Notes” starts out quietly, with a pace rather slow that the first episode doesn’t have much plot to speak of. It feels thin. However, in exchange for its lack of significant plot development, we’re offered decent interplay between Akiho and Kaito that keeps the episode going. Akiho is full of life and obsessed to complete the “Gunpro1”, a giant mecha that draws inspiration from her favorite mecha anime, Gunvarrel, which is also very famous worldwide and started the current robot boom. 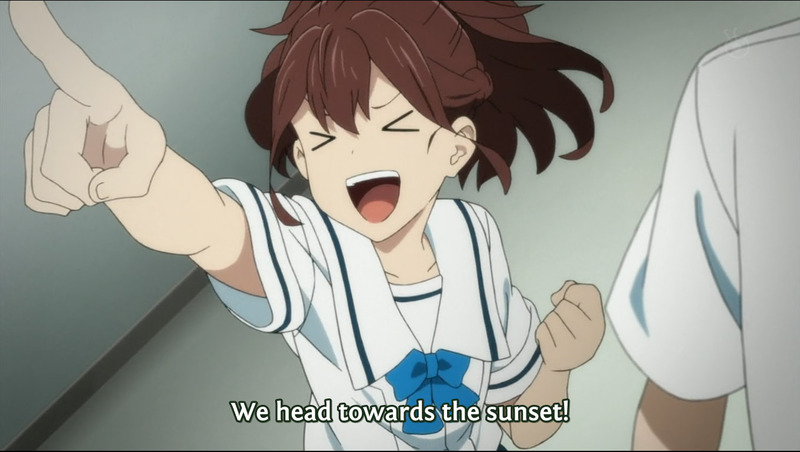 The way Akiho’s overwhelming personality drags and leads the unenthusiastic Kaito around and how Kaito’s relaxed, slightly sarcastic personality perfectly complements Akiho’s is alright, but the laid-back storyline makes viewers really have to be patient to expect something good come out from the show as a whole. 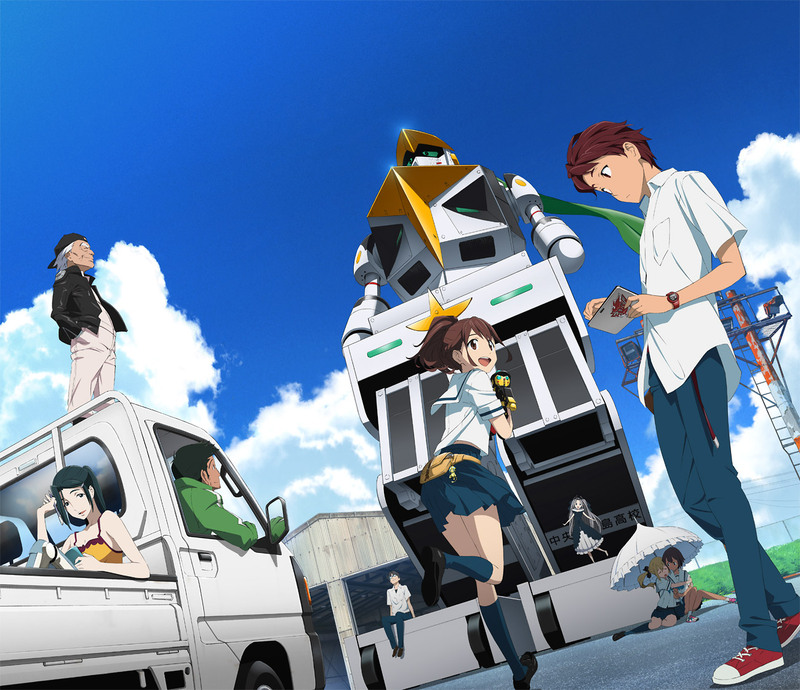 Judging by Nitroplus’s previous works, “Chaos; Head” and “Steins; Gate”, which start to take a turn for the better after halfway through the show, there’s a high chance “Robotics; Notes” will be faithful to its predecessors, as the appearance of a mysterious girl in the end of the first episode indicates a more complex plot ahead. But for now, again, the viewers have to patiently wait for the real robot action to kick in.